Smog checks, though a hurdle for some motorists, is a necessary procedure not only for the positive contribution on having a cleaner, healthier environment, but also for a vehicle’s overall performance as well. 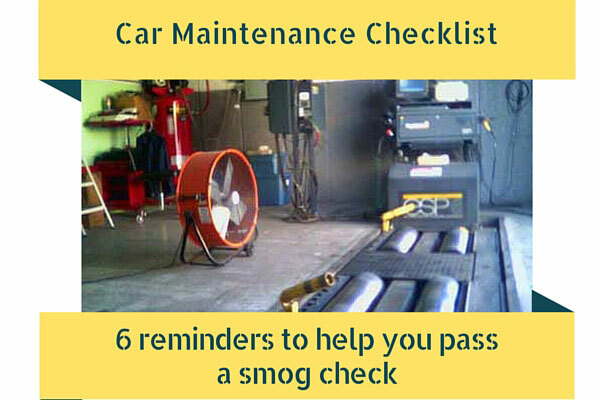 Cars not properly maintained or emitting large amounts of smog will obviously not pass these checks or tests. Before having your car checked for smog, make sure that the engine’s hot. Try driving for a few kilometers before an actual test – even with a properly maintained car, some drivers fail the smog check by having cold engines. Make sure you’ve filled your car up with fresh, high-grade gasoline before a smog check. Still, stale, standing or old gasoline – or cars that haven’t been driven for months – will not let your car pass the check. Also, try investing on environment-friendly fuel additives. These additives will help lower overall vehicle emission, and remove carbon additives and corrosion in your car’s engine combustion chamber and exhaust pipe system. This particularly helps, because deposits can increase engine compression, leading to a likely fail on the smog test. Check your battery. If it’s about to drain or go dead, even before a smog check, do not push through with the test. Also, never disconnect the battery. The battery’s calibration with your car’s engine may affect the smog check’s results as well. Though not entirely a car maintenance tip, if this certain symbol in your car’s dashboard is lighted up, you will most likely fail the smog check. If you do see this light, inform the smog check technician to not push through with the test. Either wait for the light to turn off, or check your car’s connection and battery. Have your car’s oil replaced as well before doing a smog check. Always check your car’s oil if it’s in the proper level. Old oil may be contaminated with additives and corrosion, which may again lead to a higher possibility of failing the smog test. Another crucial tip – though again, not necessarily a maintenance tip – is to have your car’s gas cap in good working condition. The gas cap’s condition – appearance, dyno test and function – is a part of a smog test. Passing a smog check will not only – hopefully – provide us cleaner air, but will let you drive your car at its potential performance. Make sure to check these reminders before having your car checked!